“The G20 membership comprises a mix of the world’s largest advanced and emerging economies, representing about two-thirds of the world’s population, 85 per cent of global gross domestic product and over 75 per cent of global trade. In other words, three of the G20 states are Muslim–Indonesia, Turkey and Saudi Arabia. What did Saudi Arabia have to say at the just-concluded conference? Saudi Arabia maintained to journalists that Riyadh is not behind the recent fall in gasoline prices. The suspicion has arisen that Riyadh is “flooding the market,” a technique it has used in the past, of pumping a lot of oil even in the face of weakening market demand, thus driving the price down. Saudi Arabia is annoyed at Russia over Moscow’s support for the Bashar al-Assad regime in Damascus. SA will support the US in the latter’s annoyance with Russia over Ukraine. Saudi is perpetually annoyed with Iran, its Shiite rival that also supports al-Assad and the civilian nuclear enrichment program of which it fears for its dual-use, weapons potential. And Saudi Arabia is threatened by the rise of hydraulic fracturing as a way to produce petroleum, which detracts from the centrality of the vast Saudi reserves. Saudi Arabia, however, says it is no longer the world swing producer. It produces 9.5 million barrels a day or so, about ten percent of the world production of 90 million barrels a day. While it used to matter a lot whether Saudi did 8 mn barrels a day or 9.5 mn barrels a day, nowadays a small difference like that, Saudi Arabia says, would likely be made up by other suppliers, including new fields drilled via hydraulic fracking. The fact is that demand is soft, which is what is driving prices down despite substantial decreases in Libyan, Iranian, Syrian, Iraqi and South Sudanese exports. The softness in demand, in other words, is so great that prices have come down despite significant production shortfalls in some former producing countries. Saudi Arabia may be happy about idling some proposed North Dakota or Norwegian fields, reducing competition. But it denies responsibility. I’m not so sure the Saudi role is as unimportant as the government says. Riyadh may well be flooding the market against Iran, Russia and North Dakota. It is hard to tell. 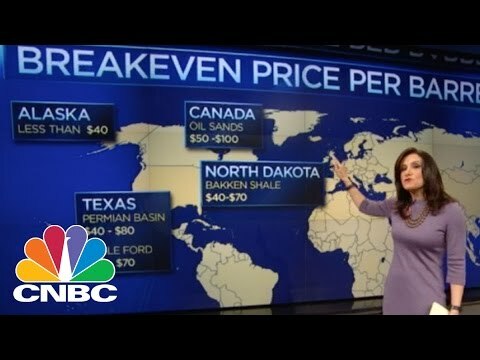 Would prices really not rise if the Saudis went down to 8 mn barrels a day? (As a country of 23 mn citizens, they don’t need to pump as much oil as they do and could survive nicely on lower production and lower proceeds).